The opening sections to Sebastián Lelio's A Fantastic Woman provide the key to understanding its power and urgency. During the opening credits we see beautiful waterfalls later described by a character in the film as being one of the wonders of the world. Then we're introduced to Orlando (Francisco Reyes) a fifty-something divorcée and business owner. Orlando is treating himself to a morning at the spa. Next, we see him tend to some matters at his work desk. On the surface, it looks like another agreeable day in the life of an accomplished man living in modern Santiago, Chile. Then we see Orlando walk into a cocktail lounge with live musical accompaniment. The camera suddenly lingers on the musical band's singer. This is Marina (Daniela Vega), a trans woman -- and the film's real protagonist. The filmmaking strategy here is clear: Marina is not only forced to exist in the background of her society, but she's also nudged to back at the outset of her own movie. And those waterfalls that opened A Fantastic Woman slowly become a metaphor: a beautiful wonder that might never be seen in reality -- much like Marina. We soon learn that Marina is the much younger lover and partner of Orlando. After an intimate birthday dinner at a Chinese restaurant, the pair retire to their apartment, make love and then go to sleep. In the middle of the night Orlando wakes up, distraught. Something is wrong. He does not look well. Marina rushes him to the hospital, but Orlando is soon pronounced dead from a brain aneurysm. It's here where Marina's two-day odyssey of self-awakening and fighting to be recognized a female, and just as urgently, a person, commences. Because Orlando has kept his relationship with Marina separate from his previous life, where he was married with children (one of whom is now a grown man), the tension between Orlando's ex-wife Sonia (Aline Kuppenheim) and Marina is understandably palpable. But what starts off as a prickly correspondence of manners over the phone soon reveals itself to be much more heinous when Sonia shames Marina in a parking garage and regards her as less than a human being. To further complicate matters, Sonia and Orlando's oldest son want Marina out of the apartment she shared with Orlando and also don't want her to attend Orlando's funeral. A Fantastic Woman could've gone in a lot of directions. It could've been a soapbox movie or even a twisted revenge flick. Fortunately, it achieves something more significant by zeroing in on Marina's muted grief and her implosive frenzy to try and make sense of what her life should be now, since the man she loved is now gone. The crude irony of Orlando's family's disdain for Marina is that they never stop to understand that she too lost someone she deeply loved. They only see her as a shameful secret. Lelio and his filmmaking team do provide some fantastic visual flourishes to dramatize Marina's anguish and puzzlement. For example, a nightclub scene that starts off as a dark sexual odyssey suddenly transforms into a musical number straight out of Todd Haynes' Velvet Goldmine. A scene like that is juxtaposed by the power of the ordinary too, especially when Marina lets the lyrics of an Aretha Franklin song on the car radio speak for her convictions. 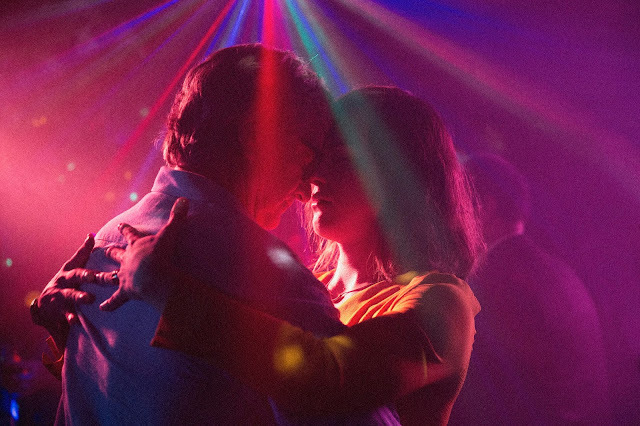 A Fantastic Woman expands to more theatres nationwide this weekend and it is nominated for the Best Foreign Film Academy Award. It's only February and Lelio's smart film is already one of 2018's best.